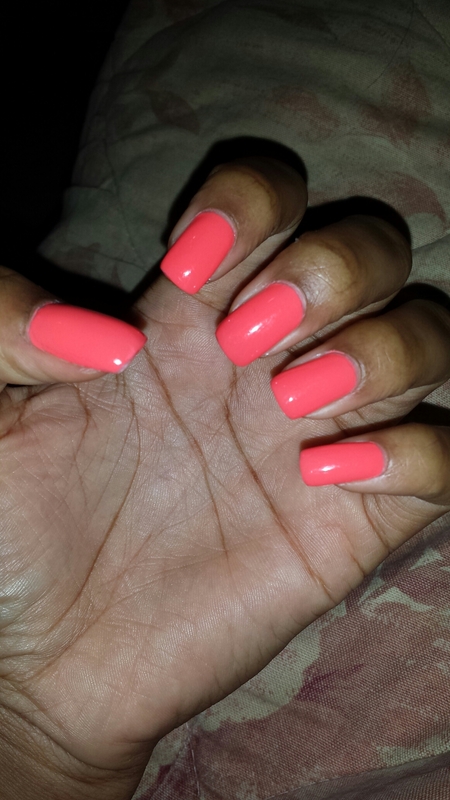 Just thought I’d share with you my manicure today. I’m aware that we are getting down into the cooler months, and thus the fall and winter nail colors are on full display these days. For those of you who know me personally, you know I studied fashion design. Though that background makes me aware of the trends, my personality doesn’t always follow them. At times a opt to dress (whether clothing or nail wise) according to what mood I’m in. That’s where these nails come in. 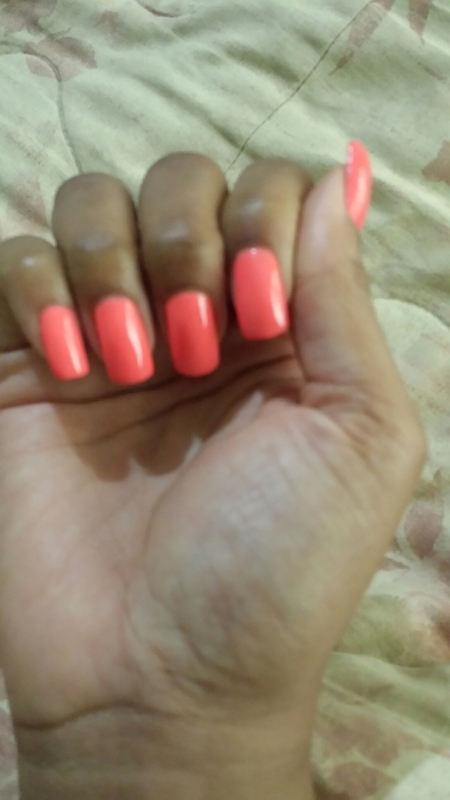 It’s almost the end of November, and I felt like wearing a spring/summer shade. 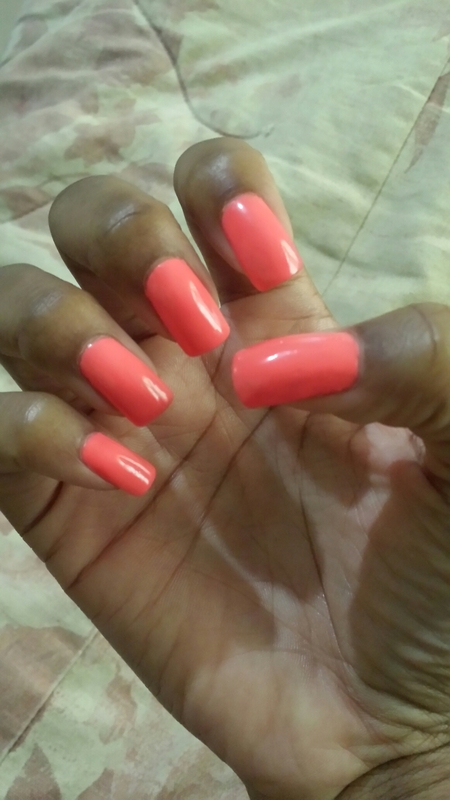 This beautiful color is courtesy of the brand Santee and is called ‘Bikini Pink’ (#135). 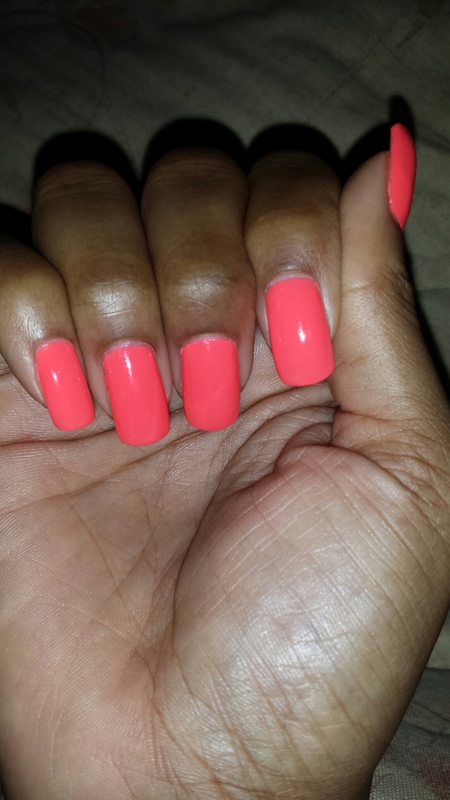 The polish is a wonderful consistency,very smooth and spreads evenly, and is opaque in 2 coats.